Bats in general are frequently overlooked by the majority of people outside of ecological and conservation circles; their timing of activity means that they often go unnoticed, they are also subject to negative press in association with fiction and films, halloween, and modern day development projects. Consequently, anything that aids understanding of bats and places them in a positive light, can only be a good thing for their conservation – and who better to target this at than the next generation of wildlife enthusiasts?! 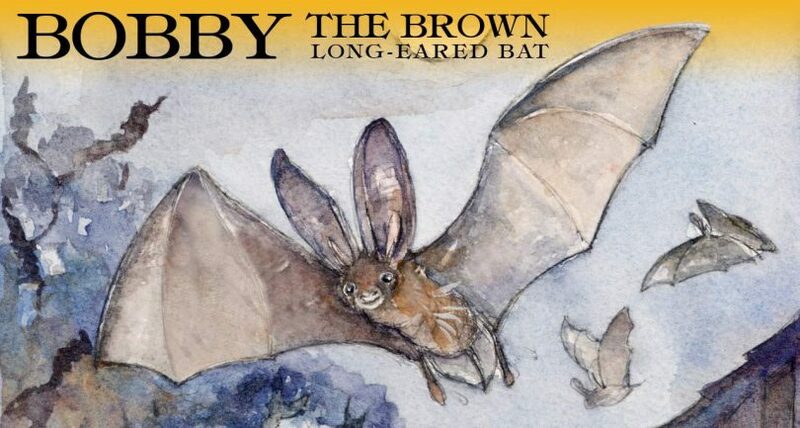 Bobby the Brown Long-Eared bat charts the adventures of Bobby from birth to his first unexpected flight outside of the maternity roost. Along the way, readers’ discover facts about bat ecology – what they eat, and how they live and experience the world around them. The story is accompanied by gorgeous illustrations (created by artist Kate Wyatt), which are certain to be appreciated by children and adults alike, in addition to aiding further understanding. It can also be hoped that adults reading this book to children, will learn from it too – a factsheet about brown long-eared bats can be found at the back of the book. This provides further information about bats in general, alongside some of the more pertinent issues relating to bat conservation, and will no doubt provide a useful aid for adults to use when explaining these concepts in more detail to younger children. 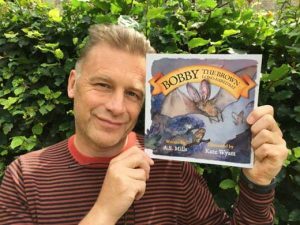 Chris Packham has written an enthusiastic Foreward to the book which urges children to find out for themselves how brilliant bats really are, and to seek to find ways to help them out. The book has been produced in association with the Bat Conservation Trust, whereby a proportion of the profits is donated to the Trust. About the Author: Angela Mills left a career in banking to study Biology as a mature student at the University of Southampton, graduating in 2009. Since then, she has worked on many administrative and ecological projects, and works freelance as a licenced bat ecologist, which is how and where the idea for the book developed. She enjoys volunteering for her local wildlife groups, in particular, Dorset Bat Group and East Dorset Bat Rescue and Rehabilitation. 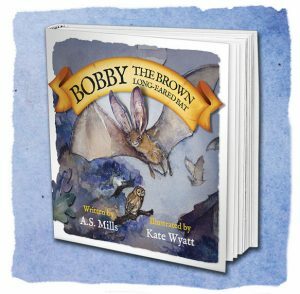 You can purchase Bobby the Brown Long-Eared Bat by Angela Mills, via Amazon, HERE.